Will I receive service each week? You will receive a weekly site visit except during our spring (April) and fall clean up (November) operations. Who is my contact person for Maintenance questions? An Account Manager is assigned to each customer. They are there to answer any questions you may have, solve problems and address issues on your property as they arise. They can also assist in any new ideas for improving the property. Who can I talk to when there is a crew working on my site? Your crew has a crew leader who assures all operations are completed weekly. You may speak with the crew leader or call your account manager should you have questions. Do you collect grass clippings after each mowing? No. Clippings contain water and elements that are desirable for soil and turf. Your soil contains microbes and fungi that break down the clippings to a form usable by the plants. As the clippings decompose, they return organic matter to your soil, helping create tiny spaces (macropores and micropores) for water and air, improving percolation and fighting compaction. What are your pruning practices? Most landscape plants require some form of pruning, whether to preserve a loose, natural form, or to create tight, compact shapes. Each individual tree or shrub has its own, unique pruning needs, depending on variety, exposure and desired result. Unless you have formal hedges or topiaries, our pruning philosophy is to encourage the natural form of the plant. What if it rains on my scheduled maintenance day? In the event of a rain day, we determine if our operations will be harmful to your landscape (i.e. create ruts, tracking of mud, etc.). If we decide we may cause harm then we will not perform maintenance that day and schedule you the following day. Make certain you are signed up for our e-newsletter. We will send out notifications of rain delay. When do you install seasonal color? 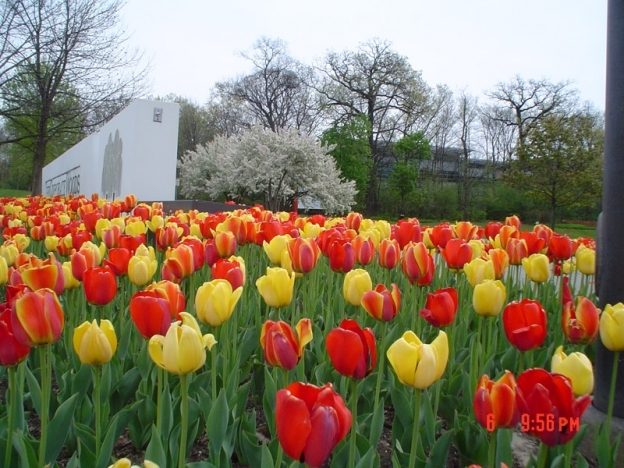 We offer four possible rotations of annual flowers (or seasonal color): spring, summer, fall and winter. The timing of each installation depends solely on the weather. A rough time line follows: Spring: bulbs late October / early November, spring plantings Late March-Early April Summer: before Memorial Day Fall: September Winter greens: before Thanksgiving Should I core aerate my lawn? Because every lawn is different, that is a question to ask your account manager. Aeration punches deep holes through thatch, turf, and compacted clay soil. Core aerators then deposit these plugs on top of the turf, where they eventually decompose. Over time, this process will de-compact soil, allowing for greater percolation. It also increases the surface area of the turf, encouraging beneficial aerobic bacterial and fungal growth. Why do I need to mulch my beds? Mulch is an organic covering applied to tree and shrub beds. Mulch beautifies your property. Mulch reduces weeds. Mulch retains ground moisture. Mulch protects roots from heat damage. Mulch enriches the soil as it decomposes. This entry was posted in Maintenance, Turf and tagged annual flowers, core aeration, fall, horticulture, ilt, iltvignocchi, maintenance, mulch, planning, tips on March 6, 2015 by iltvignocchi.